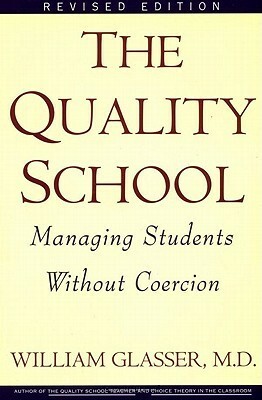 According to The Quality School | The Better Plan . . Always good to hear from you, Beverly. Not sure if I have contributed anything earthshaking regarding The Quality School. On one of my read-throughs I attempted to identify the tangible suggestions or elements that would be included in a Quality School. Some of the suggestions, on their own and absent from the context in the book, can seem radical or even misguided. But I share the list to remind people about these elements, as well as to generate discussion among the choice theory family. I hope that schools will change the start time by the time my kids are in high school, for them and me! I remember being sleep deprived and groggy most mornings. Makes school that much harder. Thanks for sharing this info! Love the blog! You have personalized this in such a great way. I hope so, too! I hope that more and more schools will desire to be kid-friendly places. I certainly hope that your kids will be able to benefit from a Quality School experience! Suzy, I am glad you gently keep reminding me about the peer counseling. This is so important and I keep letting it drift off to the side for some reason. Would you consider writing a guest blog post for The Better Plan in the near future? Or whenever you can? If you aren’t able to I will do something with it, but you have experience in this area that I don’t have. What do you think? This makes sense. Wouldn’t it be lovely if we could implement the things that would make the world a better place? So often, research shows us that the way we grow our food is bad for us and the planet, that ingredients in our food, cleaning products, toothpaste, etc. are dangerous to our health, that how we teach and learn isn’t how most schools are teaching, but no matter what we know we continue on the same path. In the words of Pooh, “Oh, bother.”. It is true, school start times are just one example of an improvement that is there for the taking. I am glad you brought up other examples, too. And thank you for bringing Pooh into this discussion.